Joining iLuv's Syren line of Bluetooth speakers is the SyrenPro, a weather and splash-resistant Bluetooth speaker featuring TrueWireless Stereo - which allows users to wirelessly pair two units to create a powerful stereo sound system similar to Ultimate Ears' highly regarded dual-pairing UE Boom and Mini Boom portable speakers. The SyrenPro speaker is ready to face the elements with its new weather and UV-resistant body, making it the ideal speaker for outdoor entertainment. iLuv's new TrueWireless Stereo feature allows two SyrenPro units to be paired wirelessly via Bluetooth, creating a full stereo sound system. 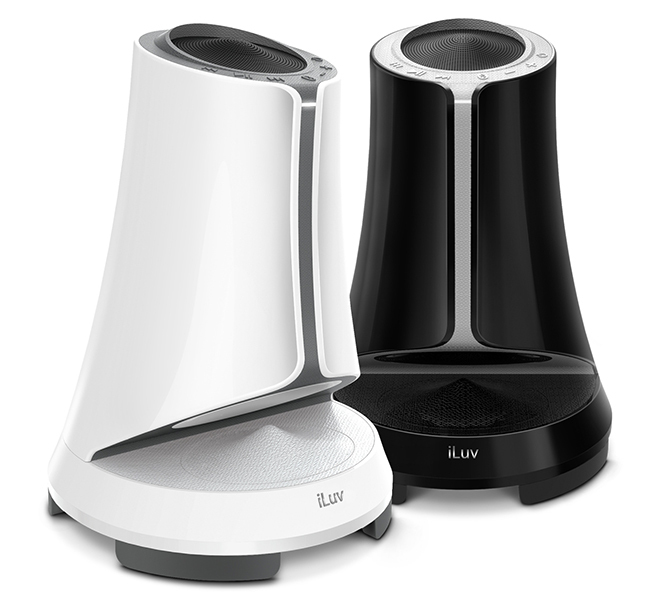 The speaker also features iLuv’s jAura sound technology which delivers a perfect balance of high, middle and low range frequencies, while its unique design creates a sound chamber for deep, rich bass. Its 3" co-axial speaker driver delivers powerful, high fidelity 360 degree sound capable of filling rooms and outdoor areas much similar to the UE Boom and Sound Blaster AXX 200 portable wireless speakers. For convenience, SyrenPro includes voice prompts for easy pairing and an aux-in port to connect to devices without Bluetooth. It is powered by a rechargeable battery for up to 4 hours of playtime. iLuv's SyrenPro Bluetooth speaker is available in black and white, and will be available later this month for $150.